Giggles the Clown - Giggles the clown packages #1 is the only package we offer for outside visits. The rest of the shows are performed or booked at the Park & Party Room located in Bellingham!! #1 is the only package we offer for outside visits. The rest of the shows are performed or booked at the Park & Party Room located in Bellingham!! A one hour show performed at y our location and includes magic with a live bird and rabbit production, candy production for all children and other exciting magic tricks. Children participation is involved in all aspects of the show. 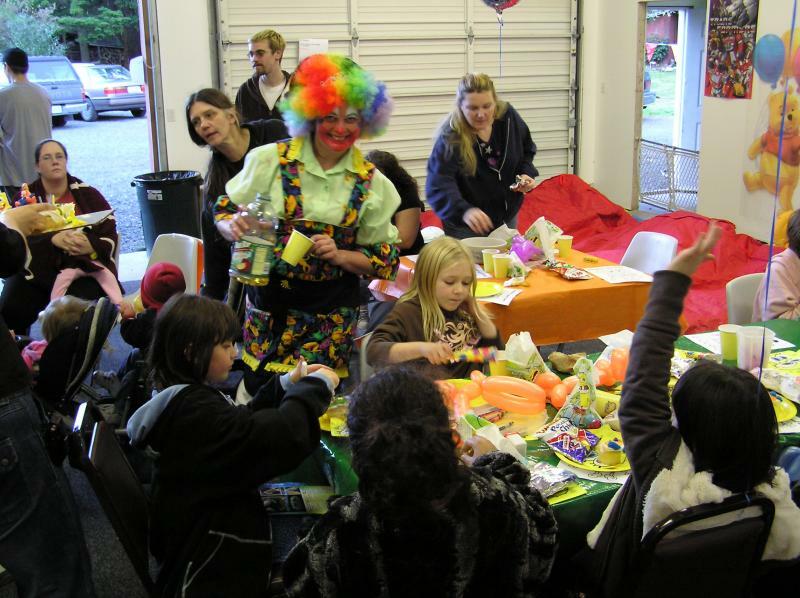 Balloon animals and face painting for all. Age appropriate games with prizes and a special gift for the birthday child is included in all shows. 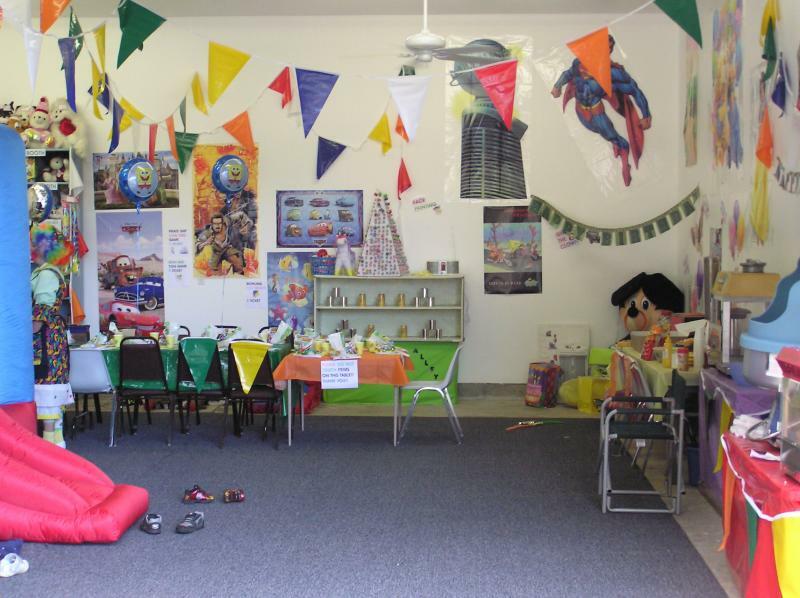 This package is for up to 15 children for $165.00 extra children are $1.00 each. 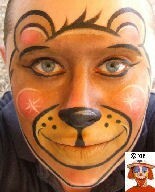 Add Cotton Candy: $30.00 Face Painter Only: $100.00 per hr. 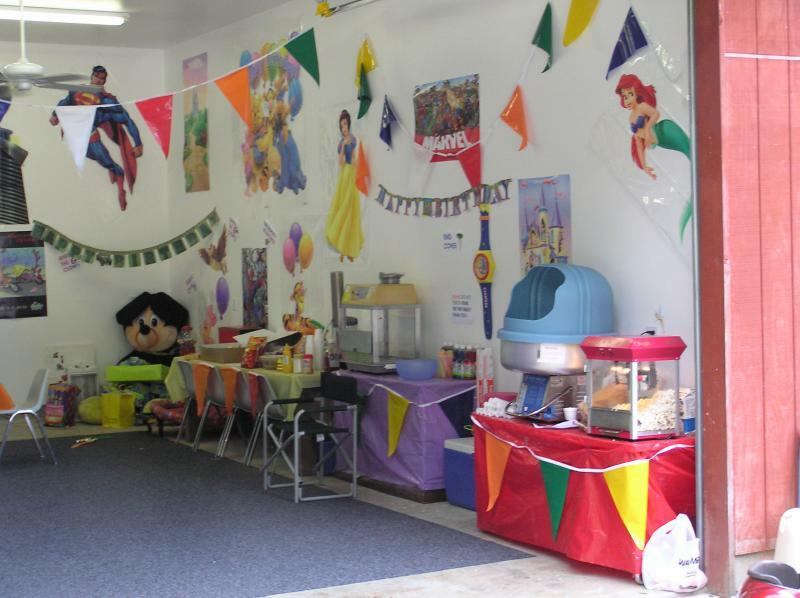 Add Popcorn: $20.00 Balloon Twister only: $150.00 per hr. 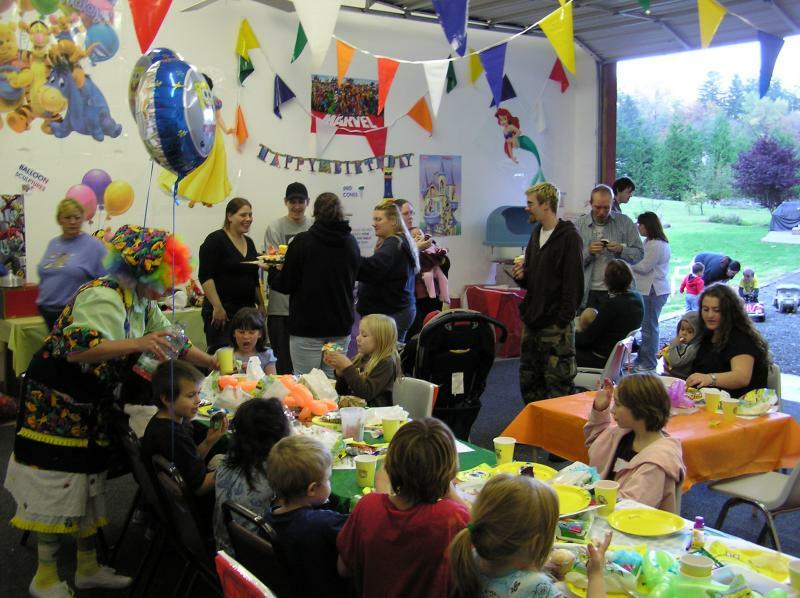 CARNIVAL GAMES, SNO CONEMACHINE, POPCORN MACHINE, COTTON CANDY MACHINE, SMALL AND LARGE BOUNCE HOUSES, PONY RIDES, TREASURE HUNTS, GOODIE BAGS, PINATA, HAY SCRAMBLE, PLAY-DOUGH FUN PARTIES, BUBBLE FUN, SPIN ART, CANDLE MAKING, JEWELRY MAKING, KARAOKE, DANCE PARTIES, AND THEME PARTIES!! CALL TODAY FOR RATES.